Spain's national team players will have to an endure an arguably much unwanted break when the Rio 2016 Olympic Games take place this summer. At the qualification tournament in Sweden the 2013 world champions and EHF EURO 2016 silver medallists eventually ranked behind Sweden and Slovenia and therefore missed the qualification to the handball tournament. The key was the first game on Friday against Slovenia. Despite a 16:12 half-time lead, they lost 21:24 and following Sweden's 24:23 win against Slovenia on Saturday Spain needed a three-goal win against Sweden. However, the final result was only 25:23 for Spain which saw Sweden and Slovenia booking the tickets to Rio 2016. Also missing the Olympic Games are EHF EURO semi-finalists Norway and once again - just like in the match for third place at the EHF EURO 2016 - it was Croatia that spoiled their party. Following a 35:29 win against Bahrain and a 25:25 draw against Denmark, Norway needed at least a draw against Croatia. The Croatians, on the other side, needed a win after they had also beaten Bahrain but lost to Denmark. However, Croatia were much too strong in the decisive match and beat Norway 27:21. Denmark then sealed their spot at the Games with a 26:24 win against Bahrain on Sunday. In the third qualification tournament in Poland everything had already been decided at the end of the second day. After Tunisia had beaten Chile 35:29 on Friday, they made it to Rio 2016 with a 32:26 win against FYR Macedonia, becoming the only team to break into the European phalanx this weekend. FYR Macedonia's head coach Ivica Obrvan immediately resigned after the game. Poland then followed Tunisia with their second win of the tournament. They had beaten FYR Macedonia 25:20 on Friday and then had the upper hand as well against Chile, 35:27. Sweden, Slovenia, Denmark, Croatia, Poland and Tunisia will join Brazil, France, Qatar, Argentina, Germany and Egypt, the six teams that were already qualified, at Rio 2016. 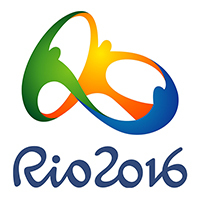 The draw for the Rio 2016 handball tournament will take place on 29 April. The handball tournament at the Games starts on 6 August.